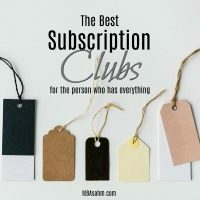 I’m a total subscription club addict for a ton of reasons. Primarily, the experts picking stuff out always seems to be a better hit than anything I could come up with! But also, who doesn’t love a gift that keeps on giving? 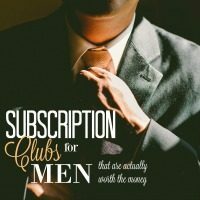 Men can be especially hard to shop for, so in my opinion subscription clubs for men are BRILLIANT. And with the holidays coming up, I figured it would be the perfect time to share some of the best that I’ve come across! Sometimes I feel like every single person I shop for is a person that already has everything. 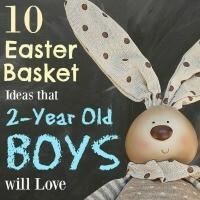 I’m constantly scouring the internet for good ideas and trying to find something they’ve never seen before. Sometimes I get lucky, other times not so much. But there’s one thing that is always a winner (and it has consistently been my favorite gift to receive) – subscriptions and monthly club boxes. They’re almost always consumable and it’s so nice to be receiving something after the holiday season (especially if you live on a budget). It’s the true gift that keeps on giving. Two years ago around this time I was a brand new mom. My little baby had all the cutest little holiday outfits with bow ties and suspenders, reindeer and santa hats, booties and mittens. He was decked out in all the “essential” holiday gear. I, on the other hand, found myself desperate for my own essentials – ones I was caught off guard to be needing. 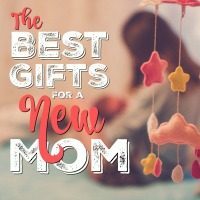 So, as a former holiday season new mom, I can tell you there definitely are gifts you are itching to get when you’ve got a brand new baby on your hands. Things you didn’t realize you needed or just didn’t prioritize. Guess what, Dads – you’re not the only ones that love gadgets, robots, and the newest tech devices. 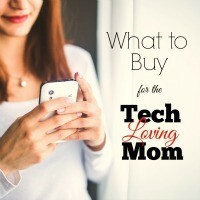 We moms also have a soft spot for the world of technology and a definite love of anything that makes life a little easier. So if you’re wondering what to get your wife, mom, or sister, consider some of these tech-infused gift ideas.